Good for you for being here! Abusive relationships don't just fix themselves, and you're smart enough to know that. Instead of just putting up with it and "waiting until it gets bad enough," you're here to get help and make things better. No matter how bad things are, you've got what it takes to make it better. You are smarter, stronger and healthier than you realize. Believe in yourself, and never, ever give up on you! Whether you are victim, abuser or both, the problems go south real fast when somebody gives up. You just can't afford to do that. Relationships are supposed to feel good and make your life better. Don't settle for anything less than that. You are worthy of loving relationships, even if you're the one who's been causing the problems. You are worthwhile, valuable and good, no matter how you're feeling right now. And that's the key to beginning the process of breaking free from abusive relationships. You are a good person, and you deserve to be treated with respect--no matter what. This doesn't mean you're perfect, it just means you are human, and worthy of respect. Regardless of who you are or what you've done, I have some relationship advice for you--you do not deserve to be abused. You must be willing to take responsibility. That's where your freedom comes from. It doesn't mean you're responsible for the abusive relationship, it just means you are responsible for taking action to protect yourself and others who are being hurt. Assuming you are an adult, you are capable of taking action to improve your situation--you already have! You're here reading this web page, aren't you?. One step at a time, and you'll get there. You are not alone! There are people on this web site that will help you deal with abusive relationships. You can tell your story here and get support and professional advice about what to do. You can also read other visitors' stories and learn from their experience. Remember, one step at a time! Leave Abusive Relationships Or Keep Trying? One option is to get out of the relationship. The other is to stay and try to work things out. But first, we have to figure out which is the best option! Are you or anyone being hurt physically? Are you or anyone being sexually abused? Are you or anyone being threatened physically or sexually? Do you or anyone feel your life is in danger? If you are not sure what qualifies as abuse or domestic violence, you will find a full description here. These are "worse case scenarios," and if you answered "yes" to any or all of the above, you need to find a safe place to go immediately. If you end up getting a divorce, you will need some divorce advice on letting go of a relationship. Do you find yourself afraid of your partner and don't really know why? Do you feel worse about yourself after or while being with your partner? Does it seem like your partner does not respect your ability to make your own decisions? Does it seem like your partner does not respect you in general? This type of situation can make start to doubt yourself, and actually interfere with your decision making ability. This can start a downward spiral that just keeps going until you feel that you are not competent to take care of yourself. You do not want this to happen! Then, if you are actually being abused, you become more and more dependent on the abuser. Not a good thing. Is It Time For You To Help Yourself? In order to survive abusive relationships, you must educate yourself. Understanding abusive relationships is a first step, and it will also help you to learn to respect yourself and develop healthy anger. Healthy anger is based on self-love, and it does not harm anyone. Healthy anger is for the purpose of protecting you and keeping you safe. Healthy anger fuels effective action. You are a person of value, and you are worthy of kindness and fair treatment. No one has the right to hurt you physically, sexually, emotionally or mentally. Of course we all get hurt somewhat in our love relationships--however, if the harm is being done intentionally and it keeps happening, that's another thing. That means you are one of the many good souls caught in abusive relationships. You are not alone. There are thousands of people all over the country devoted to helping people just like you to get yourself and your children out of abusive relationships. If you are having anger management problems of your own, you probably need to learn anger management techniques yourself--especially if you are sometimes abusive to your partner yourself! Are You Ready To Take Effective Action? It all starts with you. Focusing on the other person will only keep you stuck. This self-focus needs to be positive, because you certainly don't need anything to make you feel bad about yourself. 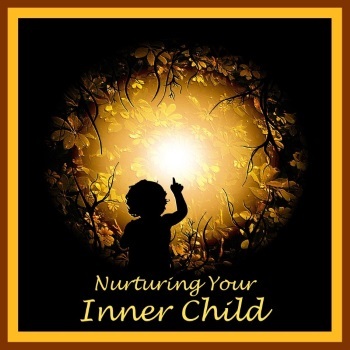 Our CD program entitled, Nurturing Your Inner Child is specially designed to help you heal emotionally and truly love yourself--because you are your best resource for healing. If you're married or planning to marry, this is your best beginning point for creating a healthy relationship with your spouse. It really is true that you have to love yourself before you can truly love another...or let them love you. Never, ever give up on yourself! It is never hopeless, no matter how bad it may seem. You have the courage and the good heart to do what must be done to keep yourself and your children safe, and it all starts with self love. Does The Abuse Come From Too Much Attachment? Attachment is not what you want. You want loving, respectful connection...and there's a huge difference. When you're attached, you'll stay too long, try too hard, and stay out of fear of leaving. If you think you're attached to your relationship, and not feeling a loving respectful connection, then you are in an abusive relationship...even if it's just neglect. Neglect is yet another form of abuse. Take action now...you're worth it! Should I Be Trying To Fix This Marriage? Do I Stay, Go, Or Help Him Through It? 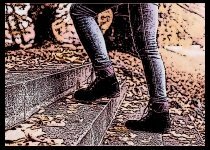 Can I Ever Change And Fix My Abusive Attitude For Good? Any Chance For My Marriage To My Physically Abusive Husband? I Had No Idea I Was Being Abusive! My Fiancé Is Irritable, Closed Off, And Critical - But Is It Abuse? Does He Say These Things Because He Loves Me? How Do I Know If I Need To Walk Away From This? Is He Abusive With Anger Issues Or Emotionally Closed Off? The Victim Has Become The Abuser?